Much has been written and said about the future of northern areas of Pakistan. Many people attach us to Kashmir on the basis of “historical evidences”. There are others who blindly consider us to be a part of the North West Frontier Province. There are some who know the beauty of our mountains and the height of our peaks, but don’t know where we are located. The local press from northern areas reported that a senior bureaucrat, when transferred to Gilgit, traveled to Peshawar on a Gilgit-finding-mission: MI-IV. Ignorance has no limits. This newspaper ran an article regarding the “legal status” of northern areas, on May 2, 2006, written by Mr. Saalim Salam Ansari; a Karachi based banking lawyer and author of various books, one being on Kashmir. The author has skillfully gathered the relevant information and chronological evidences to support his conclusions. He has skillfully narrated his point of view, and creates an impact for the reader. However he has deduced some conclusions that run contrary to the sentiments of the local people. In addition the learned author has neglected some historical facts, which definitely play behind the scene but can not be ignored. Pakistan is a very young country. The fifty eight years old history can not be used to draw conclusions about the sates and areas that were existing even when Pakistan had not come into being. Hunza and Nagar may not have been “princely states”, according to the learned writer, when they voluntarily annexed with Pakistan but they were independent, autonomous and self sufficient states before falling to the fierce intrusion of the British forces. Col. Algernon Durand was the chief of the forces that invaded Nagar and Hunza on December the 4th, 1891. The colonel was commanding a large force comprising “two thousand Dorgras, two hundred Indian troops and a mountain battery” and this force was commanded by twenty three British officers, according to F.M Khans’ “Story of Gilgit Baltistan and Chitral”. Such were the arrangements made by the mighty British occupiers to subjugate the rebellious and brave people of the tiny princely states of Hunza and Nagar. The war lasted for twenty one days, injuring Col. Durand and making two British officers eligible for Victoria Cross, the highest British Military Award. The states fell to the invasion, but not like ripe apples. They fought bravely and when they could not, they gave up. 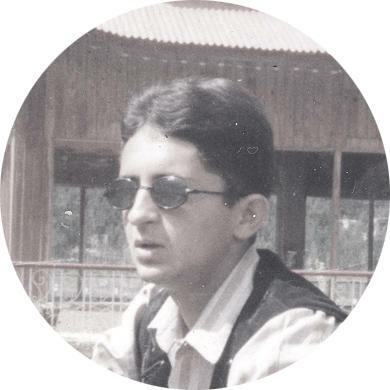 Mir Safdar Ali Khan of Hunza ran to Kashgar and took asylum, as a war refugee. Later on, his younger son, Nazeem Khan was called back and erected as a local Mir, by the Britishers. And the Mirs were, as usual, autonomous in their respective jurisdictions, though, they paid Kharaj to British Empire. The British did not bring any changes in the administration of the state, afterwards. Gohar Aman was another general from the northern areas who led many strong rebellious strikes against the British and their Dogra friends. History is teeming with events that would tell you that the people of the various states of northern areas were not happy for being annexed into Kashmir, inspite of the cruelty of the local rulers. And that, for most part, is natural. Gohar Aman was a powerful ruler, who controlled major portions of what was known as Koh-i-Ghizar, or Varshi Ghoom. His big and small wars against the Sikhs and British; the de facto rulers of Kashmir, must be considered while attaching our fate with that of Kashmir. The writer has said that in all states of northern areas the birth day of Maharaja of Kashmir was celebrated, but he has been cautious to use any other word like, “with great zeal” beyond that, for reasons that we all know. As a famous Urdu verse says, “raqs zanjeer pehen kar bhi kiya jata hay” or, 'there are some dances that are performed while the dancers are in chains'. We ought to know those who were in chains and those who were celebrating. The whole region was occupied by Dogras and the British. And the annual “Jalsa”, read procession, where these celebrations were held, was a show of power on the part of the occupiers and the local chiefs and Mirs and Rajas where bound to attend it, whether or not they liked it. Just because India celebrated the “Tajposhi” of King George Seven, does not say that the Indians accepted him as their King. It means that they had to accept it, willingly or grudgingly. “The Islamic Republic of Gilgit” existed for only fifteen days and while the republic was in place, a war was being fought at Bonji and other garrisons with a mighty force called the Maharaja of Kashmir. The question of no recognition of that revolutionary government and state is also not a very logical one keeping the land locked status of the region and the slow means of communication of that time in view. The said state was not to exist forever. The Azad Force, comprising the Gilgit Scout and defunct 6th Kashmir Infantry, had resolved to accede to Pakistan, even before Maharaja Hari Singh had announced the controversial accession to India. Legal documents written under the command of those who oppressed us, or the documents and treaties that we were not a party to, have no historical or factual value for us. So trying to decide our fate on the basis of some references and numbers is a very unjust and myopic approach, not acceptable to us. The learned author has also quoted various “maps” and “claims” to show that Northern Areas are part of the Kashmir game. I would like to direct your kind attention to the verdict of the supreme court of Pakistan, whereby the esteemed court has declared the people of northern areas as legitimate citizens of Pakistan. The esteemed court has also directed the government that they should get all the facilities just like all ordinary citizens of Pakistan. This land mark verdict of the supreme judicial authority should be held above all the other “claims” of our usually corrupt, inept and myopic political governments. The learned writer goes on to say that “The solution of the problems of the people of Northern Areas is that they should be given representation in the Azad Jammu and Kashmir government”. He forgets to tell the rulers and the esteemed public that the sentiments of the people of northern areas should be known, before such an action is taken. And that, I believe, is where our faults lie. Both, the government and the civil society, in this land of the pure, are hell bent on "solving" the Kashmir problem, once and for all, but don’t know the ground realties, or at least pretend to be ignorant of the facts. There are some segments of people in GB who support annexation with Kashmir, mostly because of sectarian fears. Or, that may also be seen as a reaction to the constitutional limbo that our region has been facing for the past half century. It is like accepting the best worst option. Majority of the people of northern areas would not like to be part of the Azad Kashmir Assembly, but strong voices have surfaced that have asked for establishment of Azad Kashmir like assembly in northern areas. Nevertheless, many are not even in the favor of such an assembly. Most of the people want to see the northern areas as the fifth province of this country. There is also no dearth of political activists and students who want to separate the region from the country and establish their own state, called “Balawaristan” or Karakuram, as some prefer to call it. In conclusion, people may b largely ready to accept autonomous-federating-unit status but don’t want to be attached with Kashmir, even the so-called Azad Kashmir. Any attempts to forcibly drag the region into Kashmir, in this scenario, would be another historical mistake, even if the intentions are cherubic. Your efforts to put forward a just and indigenous view on the legal status of NAs are commandable. In reaching any conclusion to the issue of Gilgit-Baltistan the sentiments of the local population should form the basis. For me historical linkages of the area with one or another state does not have any significance, what matters is the wishes of the population now in present. Attempts of proving Gilgit-Baltistan as part of Kashmir and trying to annex it to Kashimir is a total negation of the notion of very existance of Pakistan. Only 60 years back Pakistan was part of one country called the Indian sub continent, even less time has passed when Bangladesh was part of pakistan. Therefore to suggest that all these countries were once part of one big country and therefore they should form a single country will be absurd. Apply this same anology to the situation of Gilgit Baltistan will help the people specially pakistanis understand the aspirations of the people of Gilgit Baltistan. Of course i do not subscribe to the idea that Gilgit was part of Kashmir. Thanks for the comment Sajad Bhai. I agree with most of what you have said.